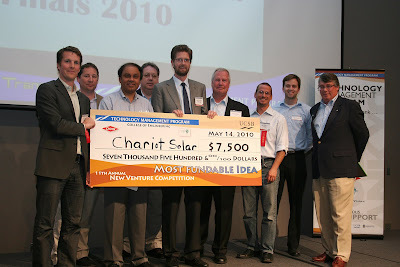 We were first time sponsors of the 2010 New Venture Competition put on by UCSB's Technology Management Program. It was very exciting and rewarding experience, and great to see so many new ideas and entrepreneurial students. We printed rollup banners and oversized checks for the program, and donated trade show signage to the winner of the "most fundable" category, which was Chariot Solar. We congratulate all participants, and look forward to working with you as you transform your dreams into reality. We invite all competition participants to get in touch for free trade show consultation.